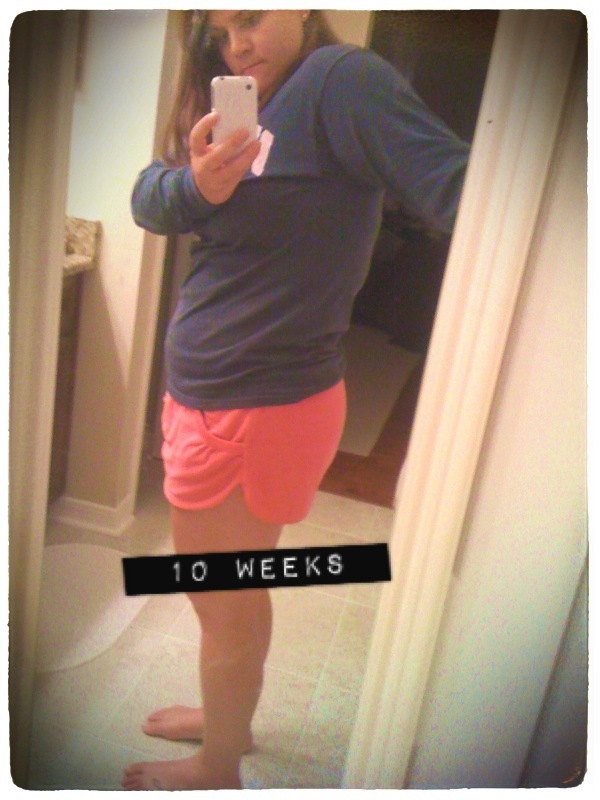 I’m pretty sure I started worrying about losing my baby weight as soon as I ganed 15 pounds around month 6. I was extremely careful and followed the Brewer Diet until I was about 8 months pregnant (I had gained a healthy 20 lbs by that point) but then, I think I just stopped caring and started giving into my cravings. Being pregnant and having a baby really helped put my health into perspective and I knew that I needed to do something to change my habits. I wanted to lose weight and be the most fit and healthy that I could be for my family. Which is where the ‘Paleo lifestyle’ comes in. I have a few friends who have been doing this Paleo diet/ lifestyle for a while… You can read about what that is here . Before I was pregnant, I tried to go on it a couple of times, but always gave in to my love for sweets and breads. Once Abbie was born, I had to go on an elimination diet because she had gas/ reflux. Before we put her on meds, we wanted to make sure it wasn’t a specific food that I was eating since I breastfeed her…but in the process of eliminating basically everything and slowly adding things back, I found that certain foods caused me to react. I would “puff up” and feel very lethargic (even with portion control and trying small amounts). I realized that without those foods that puffed me up, I was basically eating Paleo! So I did some research, learned A LOT, and I have decided to join the Paleo bandwagon!